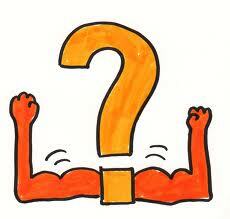 What is the most challenging question you have asked a coachee? I was asked this once when presenting at a conference. Linked to this I’ve also noticed a number of Linked In discussions about questions coaches could ask. By asking for examples of challenging questions are we seeking an answer, are we looking for the ‘killer’ question or the holy grail of coaching? I would like to thank Michal Faron for asking people to share their top 5 bravest/provocative questions on the Coaching Zone Linked In group. It was interesting to read the examples posted by other coaches. I see similar questions pop up on Linked In discussions every now and again. A few weeks ago I read a discussion about the use of the ‘why’ question. (Sorry but I can’t find this discussion to acknowledge the contributors). When reading the example questions suggested by other coaches I do not feel the impact or the power. It is not because the example questions are not good, but when written down, they are without the context. The questions are detached from the emotion of that moment in the coaching room. A question that changes the level of tension in the room (either increasing the tension if too low, or decreasing the tension if the coaching session is overwhelming the coachee). A question which takes the coachee to a place they had not previously considered, or had not wanted to consider. A question that takes the coachee by surprise. A question that probes the inner feelings and beliefs of the coachee. A question that is spontaneous. Example questions are interesting, but for a question to have real power, it needs to be in the moment, not scripted. The source of powerful questions is the passionate curiosity of the coach and the overwhelming desire to understand and say what needs to be said. By speaking their truth, a coach asks a powerful question that appears as if from nowhere, with the weight of congruence, authenticity and integrity. What you said and how you said it? Why did you ask this question? Where inside you did the question come from? What happened in the build up to the question (actions and words)? What happened after you asked the question? What does this tell you about your coaching practice? ‹ Values Coaching : How do you know what your values are? 1 Pings/Trackbacks for "Challenging Coaching Questions"